Six people have been killed in a suicide bomb attack near the compound of Afghanistan’s intelligence agency in Kabul, officials say. Another three people were injured when the attacker, who was on foot, blew himself up as agency employees were on their way to work. 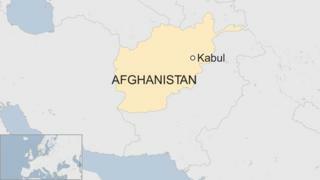 The Afghan capital has been targeted by the Taliban and other militants on many occasions in recent months. In May, a huge bomb in the diplomatic quarter killed more than 150 people. No group has so far claimed responsibility for Monday’s blast.